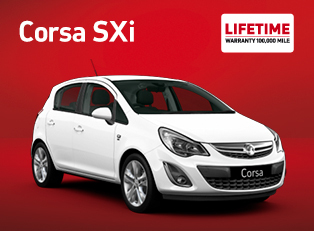 All Vauxhall Corsa SXi car offers are based on Car Leasing, 6k miles per annum with stated number of rentals in advance followed by 47 / 35 as appropriate. 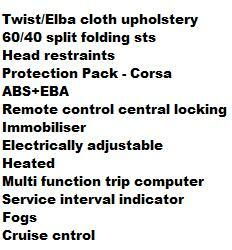 Business contract exclude VAT / Private leasing include VAT. As standard leasing offer, the pricing advertised includes delivery of a brand new car which comes with a 4 Years Warranty. The price includes car tax throughout the contract and the vehicle is collected at contract end. We can add additional maintenance packages to the contract to include servicing and replacement tyre costs to the offers if required. We can tailor the leasing quotation company and private to suit you further and if you require a bespoke quotation different from the above do let us know and we will be delighted to assist. All our vehicles are sourced through the manufacturer’s dealer network and therefore every car includes the full manufacturers warranty and breakdown cover. 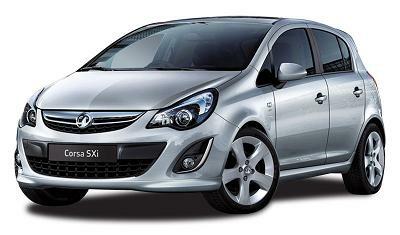 All Vauxhall Corsa SXi car pictures and/or photos and car descriptions on this site are for illustration only.